French endurance athlete Ben Lecomte just set out to become the first person to swim across the entire Pacific Ocean—a feat that will take more than six months if he logs eight hours in the water a day. 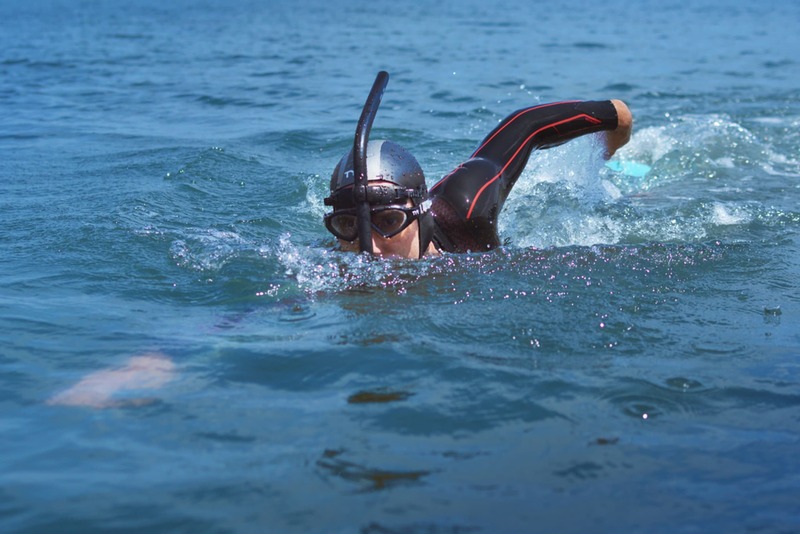 More than a physical challenge, the swim is an act of conservation. "I try to not focus on the pain but instead on the reason I'm swimming and the overall purpose of this expedition," Lecomte wrote to mbg before setting out on his journey earlier this week. A team of scientists and researchers will trail him over the 5,500 miles through storms and garbage patches to collect data samples on water quality and pollution. The voyage, seven years in the making, will also be filmed (you can follow along on live tracker here) and eventually turned into a Discovery Channel documentary to raise awareness on ocean issues. Lecomte is no stranger to the open water: In fact, he became the first person to swim across the Atlantic in 1998, which took 73 days. This time around, though, the stakes are higher because he's a parent who's hoping the swim can help shape a better world for his kids.